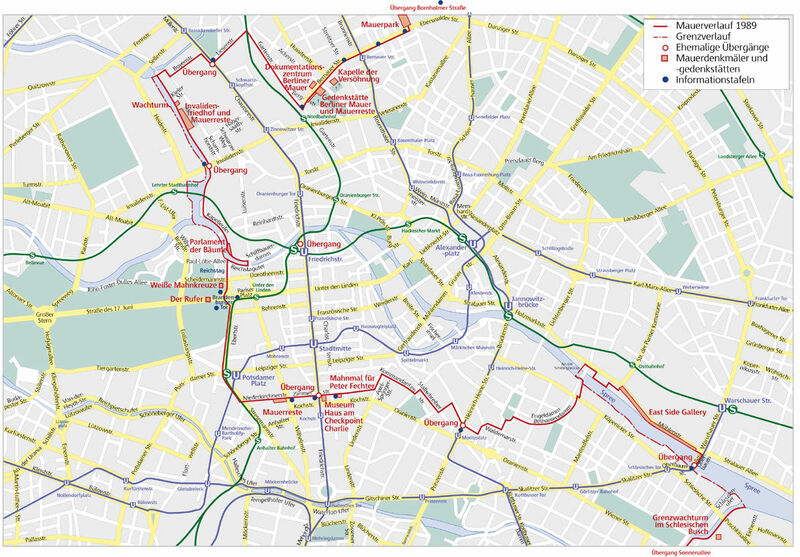 The Berlin Wall, "Wall of Shame" for West Germans and "Anti-Fascist Protection Rampart" referred by GDR authorities was erected in the center of Berlin from the night of August 12th to 13th 1961 until his fall on November 9th, 1989. 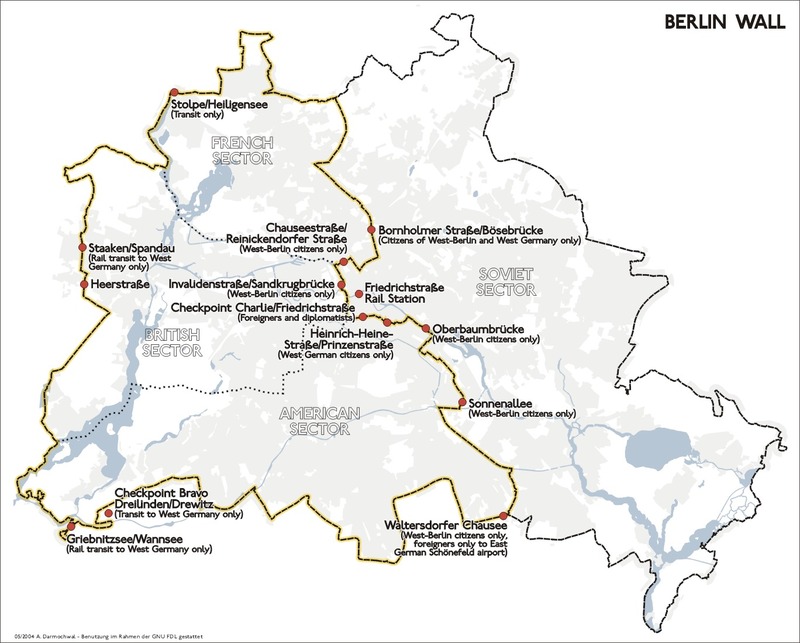 The wall was physically separating the city in East Berlin and West Berlin for more than 28 years, and is the most prominent symbol of a Europe divided by the Iron Curtain. The wall, whose goal was to try to end the growing exodus from the GDR to the FRG was almost totally destroyed. However, the wall left in the urban organization of the German capital scars that are still not cleared today. More than just a wall, it was a complex military system with two walls of 12 ft (3.6 m) high with battlements, 302 towers,14 000 guards, 600 dogs and countless barbed wire. An unknown number of people were victims of attempts to cross the wall in addition to the victims of German border guards and Soviet soldiers who did not hesitate to shoot the fugitives.